There are many reasons why bears are among the most popular exhibits in zoos. These powerful mammals can seem simultaneously adorable and dangerous. 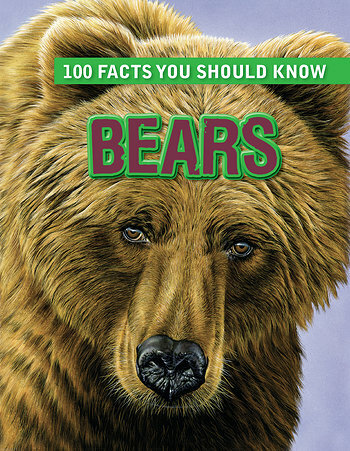 This fact-filled volume offers much more knowledge than a bear lover could find in a zoo. Besides valuable scientific information about the eight species of bears remaining in the world, their habitats, life cycles, diet, and more, readers will also find out about species that are now extinct such as Arctodus, a towering bear that measured over 10 feet (3 m) in height! Colorful photographs, illustrations, and diagrams supplement this impressive collection of bear facts.